I've connected multiple shops. How do I switch between them? 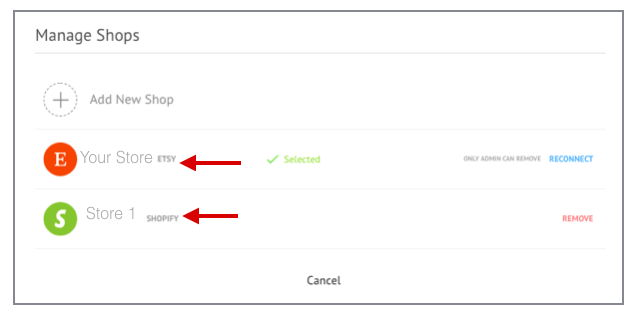 In the Socioh dashboard, you need to toggle/switch between shops to create campaigns for separate shops. You can create marketing campaigns for the shop displayed in 'Active Shop' section. Will I have to pay extra for an additional shop? Will I get a free trial for my additional shops as well?